If you need to install or reinstall new Mac OS X on your iMac, MacBook, MacBook Pro, MacBook Air, iMac, iMac Pro, Mac Mini or any mac devices, we can help. 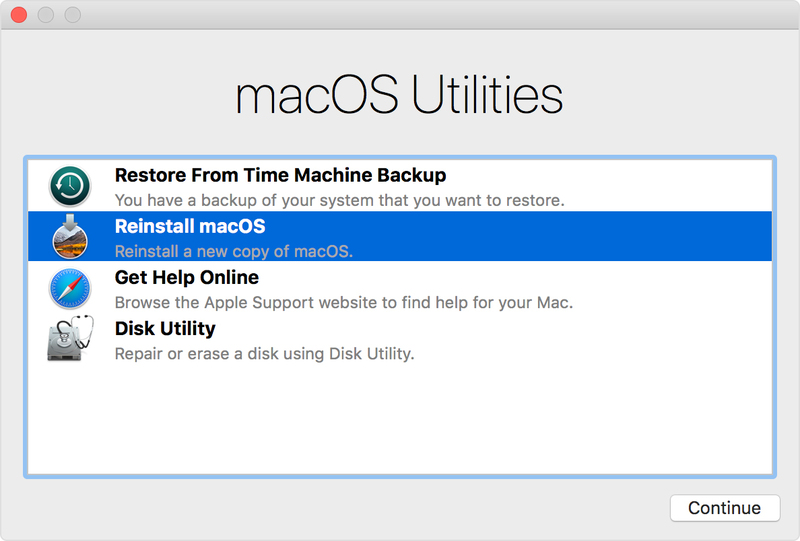 If you have lately upgraded or replaced the new hard drive for your iMac, MacBook, MacBook Pro, MacBook Air, iMac, iMac Pro, Mac Mini, you need to install new Mac OS X onto it. We are happy to help you install or reinstall new Mac OS X. There are many ways you can install new Mac OS. One way is to reinstall Mac OS from Mac OS Recovery mode. First, you need to restart your Mac into Recovery mode by pressing Command +R or Option+Command+ R or Shift+ Option+ R depending upon your mac. Second, you can create a bootable USB to install new Mac OS. We will install new Mac OS between 30 min to 1 hour. Installed Mac OS is a fresh copy with no third party apps. iFixGeek is an independent repair service company in Richardson and is not affiliated with Apple, Google, Samsung, Microsoft or any companies. MacBooks®, MacBook Pros®, Mac Minis®, iMacs®, Mac Minis®, Mac Minis®, iMac Minis®are trademarks of Apple, Inc. All other trademarks are the property of their respective owners. iFixGeek 115 S Central Expressway Richardson, Dallas, Texas 75080. Phone: 972-866-4573. iMac hard drive Replacement, MacBook Pro hard drive Replacement, Mac Mini hard drive Replacement, Mac Pro hard drive Replacement Service, we provide 60 days warranty.